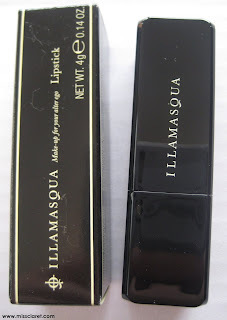 A few weeks ago I attended a master class session with the amazing Alex Box, Illamasqua's make up genius. 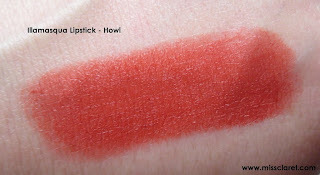 At the event, one of the make up artists suggested I try Howl, a blood / cherry red with warm undertones. It doesn't take much to convince me to try a 'different' red so I quickly added this to my collection. 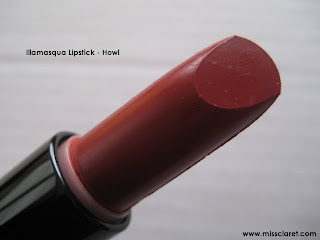 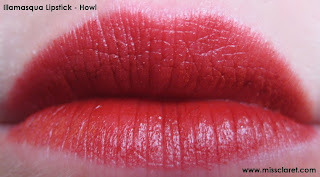 As with my other Illamasqua's lipsticks, Howl is also fantastic. The pigment, consistency, non feathering factor and packaging all rate very highly in my book and continue to lure me back for more. 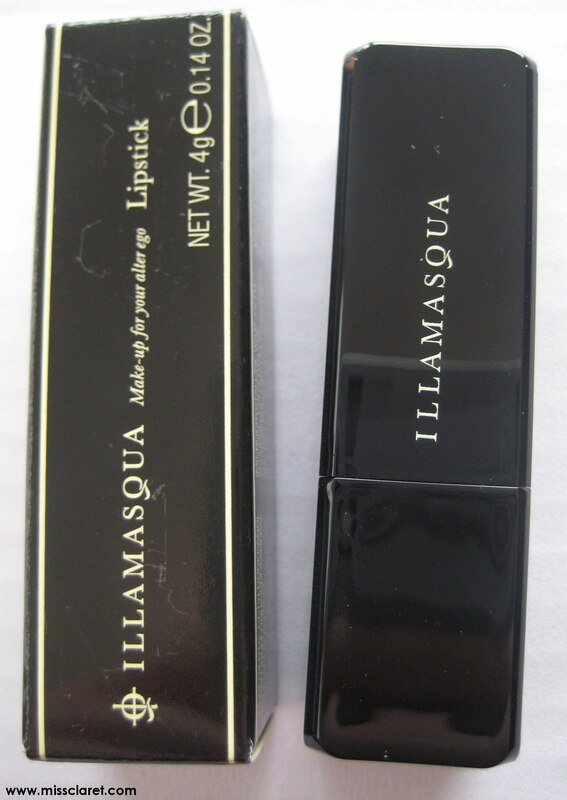 I'll be swatching more Illamasqua red colours soon so stay tuned!